Individuals with intellectual disabilities (ID) from 20 developing countries can now hope to receive a better quality healthcare services in the next three to five years. This is following the pledge of over 100 global health leaders at the Global Inclusive Health Forum to (remove space between forum and to) ensure 10,000 community health workers are adequately trained with the knowledge, skills and attitudes required to treat the persons with ID, putting an end to disparities. The 20 countries include Ghana, Kenya, Nigeria, Senegal, Uganda, Bangladesh, India, Malaysia, Mongolia, Nepal, Pakistan, Vietnam, Jordan, Moldova, Dominican Republic, Guatemala, Jamaica, Ecuador, Paraguay and Peru. In this regard, The leaders, including representatives from Special Olympics, World Health Organization (WHO), United Nations (UN), Golisano Foundation, International Federation of Red Cross and Red Crescent Societies, and Lions Clubs International, also discussed the strategies and good practices to be applied. 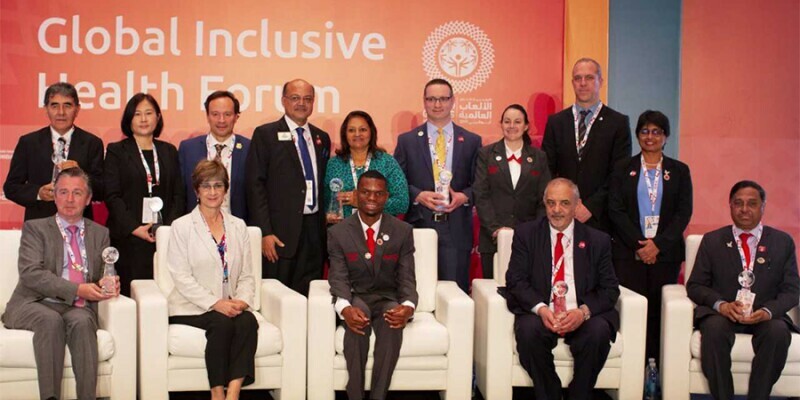 The Forum, held in conjunction with the Special Olympics World Games 2019 (SOWG) in Abu Dhabi beginning on March 14, also addressed that ID is significantly more common in the low and middle income nations - 16.41 in every 1,000 individuals. Special Olympics International Chairman Dr. Timothy Shriver said the commitments made at the Forum will make health disparities history and make inclusive health a reality for some 200 million individuals living with ID worldwide. “People with ID rightfully demanding quality healthcare in their communities and their countries, and the Global Inclusive Health Forum is elevating their voices to the people in positions of power,” he said. Meanwhile, Special Envoy to the UN Secretary General on Disability and Accessibility, Maria Soledad Cisternas Reyes welcomed the effort, as both the children and adolescents with disabilities, especially those with ID, often become victims of abuse and human rights violations. “It is necessary to raise awareness to improve the situation of children and adolescents with ID. We believe that Special Olympics has a strong commitment to improve the situation of people with ID through the practice of the sports. “…And now, the focus is also on the exercise of right health,” she said after presenting the 10 principles on the good treatment of those with ID. The Forum also saw the Special Olympics and Golisano Foundation honour seven healthcare organizations and professionals with the Golisano Global Health Leadership Awards for championing global health work.